Illuminate your home with the SmartHome WiFi 40W LED Dimmable Multicolor Light Bulb. Turn on your lights from anywhere in the world with your smartphone using the free remote management app. Increase the security of your home, adjust the ambiance, dim the lights or even change the color completely. The Aluratek SmartHome WiFi Security Camera streams real-time video of your home, pets and family through your smartphone. Does your pet keep scratching up your favorite piece of furniture? Using the two-way audio feature, you can tell them to stop from anywhere! Keep your mind at ease when you’re travelling with the camera's night vision capability and check-in on the live stream at any time of day. Be the first to know of an intruder. 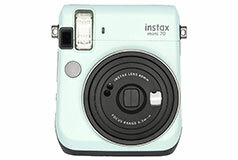 The camera sends instant notifications to your smartphone when movement is detected. Aluratek's SmartHome WiFi Outlet Plug allows you to control your lights, electronics and small appliances from anywhere. Just plug in the SmartHome WiFi Outlet Plug into your existing wall outlet, plug in your favorite devices and control with the Eco4Life smartphone app. The SmartHome WiFi Outlet Plug is perfect for fans, air conditioners, coffee machines, lamps or any small appliance. Enjoy the convenience of powering on your devices from virtually anywhere in the world. Want to cool down your house before you get home? Just open up the smartphone app, and power on your air conditioner, make a cup of coffee or turn on your entry hall light all before arriving home. You can program as many devices as you want and group them together within the application to power on at once. 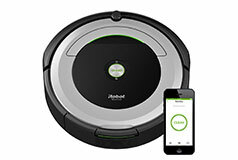 The perfect device to help power and charge your appliances and mobile devices easier. Choose what devices are being powered or charged with power surge protection right from your smartphone. 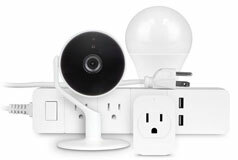 The essentials SmartHome kit includes the WiFi Light Bulb, Outlet Plug, Security Camera and Power Surge Strip. Outlet Plug Using a WiFi connection, the Smart Home Outlet Plug can be fully controlled from anywhere. Want to cool down your home prior to arriving? or turn on your entry light all on your way home. 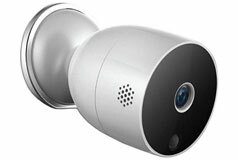 Security Camera Connected 24/7 ( Monitor your home with 24/7 surveillance. for your most precious belongings. Say goodbye to keys and combinations. This power strip doubles up as a surge protector so your devices aren’t overloaded. Protect your most important devices.